Can You Judge the Urgency of These 5 Dental Emergencies? 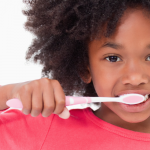 Know when to get help for an unexpected dental condition. How do you know what constitutes a real dental emergency? 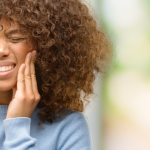 A dental emergency requires immediate care from a dentist, and delays in seeking treatment could affect your future recovery. 1 = Real dental emergency, go to the nearest dentist immediately–the clock is ticking! 2 = Urgent situation requiring you to take action now and call a dentist. 3 = Serious dental problem requiring dental attention soon. The first thing you should do is call your dentist and schedule an appointment as soon as possible. 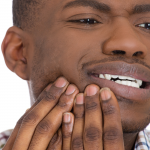 A toothache can be due to a range of problems, but it shouldn’t be taken lightly. In fact, a toothache can be very dangerous if the cause is an infection. While it’s initially ranked as a 3, the longer you’ve had the toothache the more urgent it is to resolve. A toothache can be caused by tooth decay, a fracture, a damaged filling, grinding teeth, and infected gums. To manage pain, you can self-treat with over the counter medicine. Place an ice pack against your mouth or cheek where the sore tooth is located. Do not put heat on your mouth. Broken teeth can almost always be saved, but the problem must be addressed as soon as the break happens. Call your dentist and explain the situation. If it’s a small break, you might get a white filling and crown, whereas serious breaks could require a root canal. If the knocked-out tooth is an adult (permanent) tooth, it’s possible that your dentist can put it back in. If the tooth is put back in within 10-30 minutes, then there is a good possibility of it taking root again! After 2 hours, though, those chances decrease dramatically. If your tooth has been knocked out, there’s no time to lose; head to your dentist right away. If the tooth has been knocked out completely, you can put it in a container of cold milk to keep it safe while you go to the dentist. If you see bleeding, use a clean cloth to put pressure on the part of the mouth that is bleeding. You can apply ice on your lip if it is swollen to keep the swelling down. If you cannot get the bleeding to stop, then go to the emergency room of a hospital right away. A lost filling or crown does not usually qualify as an emergency. However, you’ll need to take good care of yourself because the exposed tooth tissue can be sensitive. If you lose a crown, put it in a safe container and make an appointment to see a dentist as soon as you can. It’s best not to wait long because your tooth isn’t as strong without the crown. You risk further damage the longer you wait. Learn more about restoration options for an affordable price at Penn Dental Medicine. Emergency Dentistry in Philadelphia: 1, 2, 3! 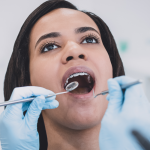 Whether you’re reading for educational purposes or because you or a family member have recently had a dental emergency, we want to stress that when in doubt, call your dentist. The urgency ranking offered here should be understood as an approximation and should not be substituted for a professional’s attention. If you’re in significant pain, please get touch with an emergency dentist in Philadelphia PA.
Penn Dental Medicine offers emergency dental care in Philadelphia during our normal hours 8:00-4:30 p.m., and after hours at the Hospital of the University of Pennsylvania. In the case of severe pain, swelling, and or bleeding, call Penn Dental Medicine at 215-898-8965. Please note that the hospital emergency room will not replace lost fillings, crowns, or other dental appliances.